A customer shared this picture with us! Look at all the herring that were inside this winter chinook!! Well to say it has been wet lately has been an understatement. For the most part we have been on the sidelines with the wet and windy weather. There was one exception this past week and that was Tuesday. Those that were lucky enough to get out on Tuesday had some good fishing, calm seas, and sunny skies. Except for that day though, the weather has been pretty ugly. It looks like this weekend will be a mix of sun and clouds and by Monday we are forecast to get a few days of back to back sun! The winds don’t look that bad either, so I am sure we will be out a lot more this coming week. 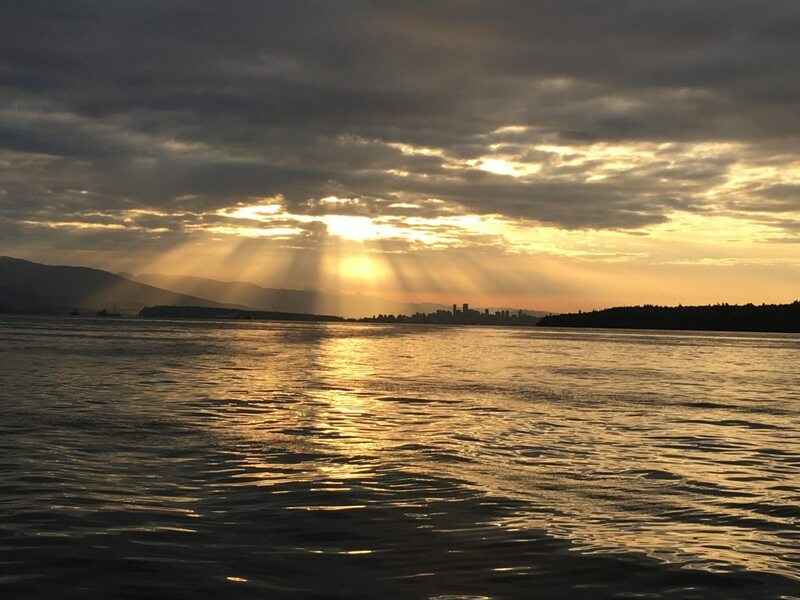 The reports from Vancouver Harbour have not been that good. The seals have been very frustrating. They are following you around at the Cap Mouth and the Freighters as well. A friend of ours was out the other day and every fish he hooked was taken by a seal! If you do have a seal following you make sure to pick up your gear and move. If you do hook a good fish it will definitely be taken by the seal so you might as well move spots. If you can get away from the seals, there are few nice fish around this time of year. That can be easier said than done. Okay, so that was a little depressing, so let’s talk about some of the good news. There has been some nice fish taken up Howe Sound. We are starting to see some of the bigger white springs being taken now and there have been some fish in the mid to high teens. Spoons have been working well, but so has bait! The fish have had a lot of small bait in their stomachs and anchovies have been working well. They are about the size of the bait we have been seeing. As usual, you want to keep your gear close to the bottom as this is where the bait is. Some flashers with some glow on them like a Green Onion Glow or Chartreuse Glow are always good producers. For spoons try the smaller sizes like a Pesca in 2.5 or 3.5 and a Kingfisher in 3.0 or 3.5. These smaller sizes will represent the size of bait this time of year. We are often fishing in 150-250 feet of water, and close to the bottom, so make sure your spoon has some glow on it. Popular colours that have glow are Gut Bomb, Leprechaun, Sucker Punch, Irish Cream, and Yellow Tail. Another good tip is to use some scent. Put some gel scent on your spoons. Productive choices are herring, anchovy, and bloody tuna or bloody tuna with anise. We always put scent on our spoons. It really does make a difference, especially for chinook. If you would like to get out on the water and enjoy the sun and some tasty winter chinook this week, give us a call at 778-788-8582.